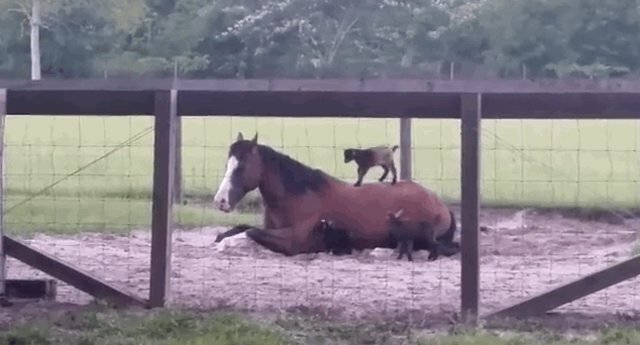 This horse, named Mr. G, found himself acting as a bit of a jungle gym for three baby goats, who were fascinated with the giant creature in their midst. Once the first kid took the brave leap, everyone decided that it was time to jump on the bandwagon (or in this case, you know, the horse). 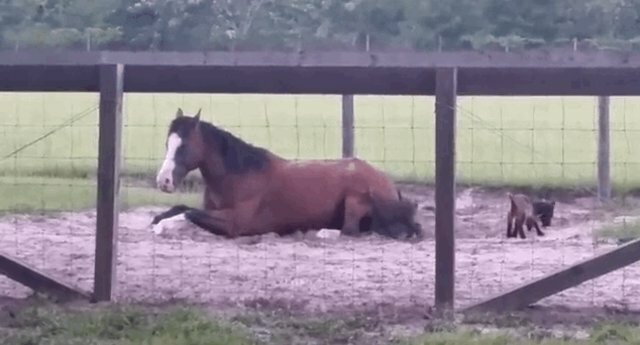 Jumping on a horse isn't as easy as it seems, for the record. 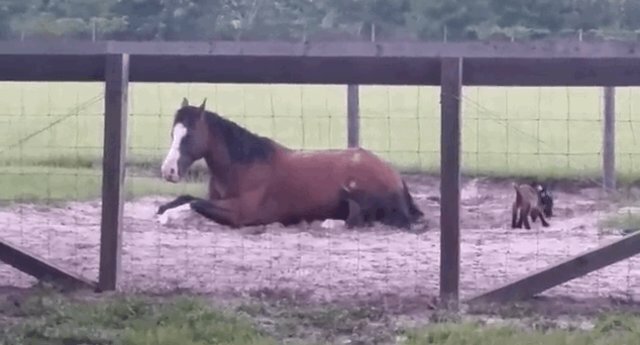 All the while, Mr. G keeps things chill and doesn't protest a bit. 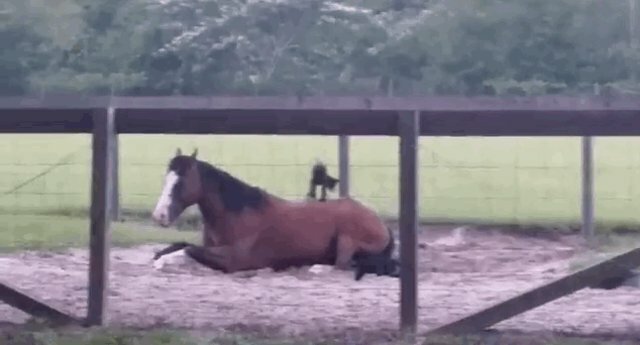 After all, how often do you get to have adorable baby goats playing on your back? For the record, it should also be noted that goats are pretty excitable in general.